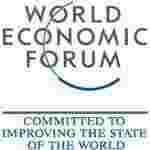 Mumbai: Connecting villages and small towns to the digital economy is the next big challenge—and opportunity—for India, participants at the India Economic Summit of the World Economic Forum (WEF) concurred on Monday. “In cities from grade A to grade E, there is strong infrastructure, and financial institutions operating there have access to the latest technologies. The opportunity lies in the other part of India, where 70% of the under-served population lives," said H.S. Bedi, chairman and managing director, Tulip Telecom Ltd. “This population needs the digital economy more than anyone else." Tech network: A resident of Marenahalli village, near Bangalore. The fibre optic network being laid out by telecom firms in India’s villages will provide last-mile connectivity, says Tulip Telecom’s H.S. Bedi. Only 9.6% of India’s population has access to financial products despite India having a strong culture of saving, said Kaku Nakhate, president and country head of Bank of America-Merrill Lynch. “The time has come to look at how we can mould technology as a way of life, how it can improve business models, and how it can enable innovation because different models are needed out there to serve different needs," she said. Anand Sankaran, senior vice-president and business head (India and Middle East), Wipro Infotech, said the telecom revolution in India over the past decade, with 886 million wireless subscribers, was a huge opportunity for both companies and the government. 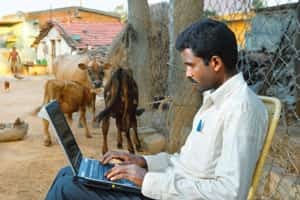 India has the greatest need for technological innovation given its burgeoning middle class, according to James Bujold, president of diversified technology firm Honeywell International Inc.’s Indian operations. “Your challenges, skill sets and the conditions are very different from any other country in the world and, therefore, more than looking east or west, any solutions that are developed will have to be uniquely Indian," Bujold said. If India innovates and makes its systems more efficient, the world will have an opportunity to learn from what India does, Bujold said. “It will then signify India truly taking its place in the world by driving solutions out to the rest of the world."